Welcome to CableMod Support. Be sure to check out the F.A.Q. below – the answer you seek may already be there! We make cables - really really nice cables. We've scoured the earth to find the right materials and components to make the very best we can, and offer them to customers at reasonable prices. So what makes CableMod cables different? Our cables are made from the finest grade materials, and carefully constructed to be the highest quality cables around. Everything from the choice of materials to the spacing between connectors has been considered. For more details, check out this handy comparison. Are CableMod cables compatible with X power supply? We've put together a compatibility list that shows all the power supplies that work with our cables. Check it out here! Where can I buy CableMod products? Hit up our Where to Buy page to find out where CableMod products are being sold. I can’t find CableMod products in my country. What can I do? We are constantly adding new countries to our Where to Buy list. If your country isn't listed, please contact us and we will see if we can work something out for you. I’ve got a problem with (insert CableMod product here). Help! We want you to be thrilled with your CableMod product, but if for some reason you are not, check out our support section for assistance. I’ve got a great idea/suggestion for a CableMod product. Who do I contact? All of our products are inspired by the community, so if you've got a great idea for a product, we'd love to hear from you! Drop us a note using the contact form. How do I install the Vertical PCI-e Bracket? How do I install my WideBeam RGB LED Kit? 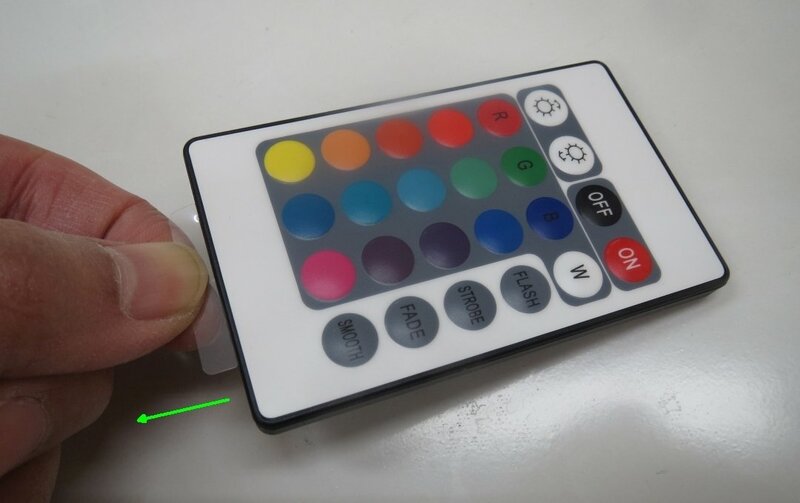 To connect the WideBeam RGB LED kit, follow these easy steps: 1. Connect a 4 pin connector to one of the LED cables on the IR receiver. Be sure the connector is fit snugly. 2. Connect the IR LED cable to the RGB LED strip. Be sure to line up the arrow on the connector to the 12V pin on the LED strip. The 12V pin is clearly labeled with a (+). 3. Connect the SATA power connector to the IR receiver. 4. Connect the SATA power cable to a free SATA connector from your PSU. 5. Remove the plastic battery guard from the remote control. 6. Point the remote control towards the IR sensor and press the ON button. 7. Done! I have an ASUS® motherboard with an AURA RGB header. Do I still need to purchase a full CableMod RGB Kit? If you have an ASUS motherboard with a compatible RGB header, then you don't need to buy a full RGB kit and instead simply purchase the single RGB strip. The single RGB strips also come with an ASUS Compatibility Adapter, so you are good to go! How do I connect the WideBeam RGB LED Strip to my ASUS® motherboard’s AURA RGB header? Connecting the WideBeam RGB LED strip to your ASUS® AURA RGB header is easy: 1. Connect the RGB cable included with your ASUS motherboard to the AURA header following the instructions in your motherboard manual. 2. Connect the ASUS Compatibility Adapter to your RGB cable. There is a small arrow on the Compatibility Adapter that marks the 12V pin. On the ASUS RGB cable, the 12V pin is the one connected to the BLACK wire. BE SURE TO CORRECTLY CONNECT THIS PIN TO THE CORRESPONDING 12V PIN ON YOUR ASUS RGB CABLE OR DAMAGE COULD RESULT. 3. Connect the other end of the ASUS Compatibility Adapter to your RGB LED Strip. You need to line up the arrow on the 4 pin connector to the 12V pin of the LED strip. 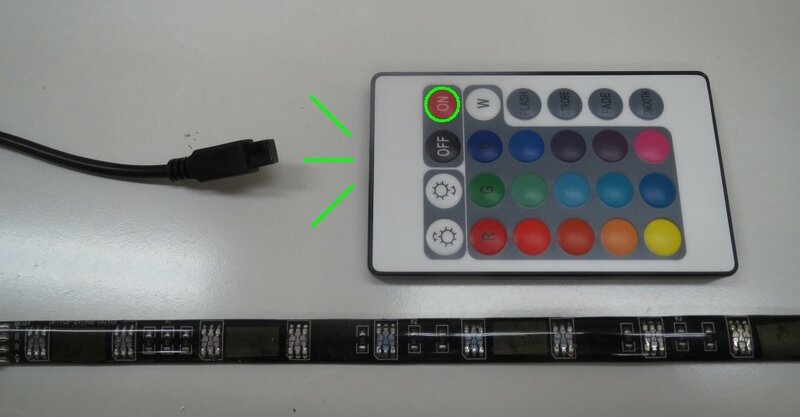 The 12v pin is clearly labeled on the LED strip with the (+): 4. Done! Is it possible to cut my WideBeam LED Strip to make it shorter? Where should I cut it? WideBeam LED Strips can be cut shorter if you like. To do so, make sure that you cut in places where you have a group of three LEDs with resistors: Please note that if you don't cut in one of these four locations, some LEDs will stop working. For the WideBeam Magnetic Series, this will be trickier as there will be magnets in these locations. We recommend avoiding cutting the magnets themselves and instead cut beside the magnets: Once cut, we recommend applying silicone glue on the cut ends to maintain the strip's waterproof properties. What is the maximum length of WideBeam LED strip? We suggest that you don't connect more than 4.5m (14.7') together. What is the power draw for WideBeam LED strips?